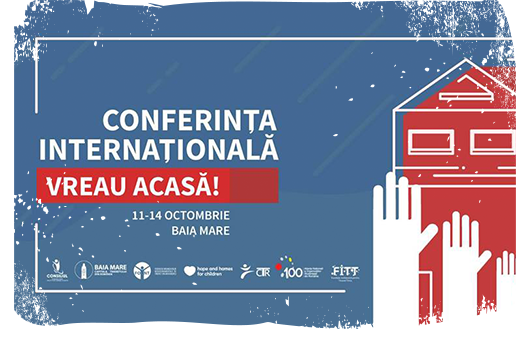 The process of deinstitutionalisation (DI) seems to have been demoted on the list of priorities by the Romanian government lately. Such change of focus and the fact that the government did not include children on the agenda for the 2019 EU presidency presents a challenge for a continued national reform on deinstitutionalisation. This has been coupled with significant delays in the allocation of EU funds and the prioritisation of EU calls for funding to proceed with the child protection system reform in Romania. According to the National Strategy for the Promotion and Protection of Children’s Rights 2014-2020, all old-type institutions must be closed down and replaced with community-based care. A big step forward in this respect was the government’s resolution to close down 50 institutions for children with the help of EU funds. Despite the delayed launch of EU-funded calls for closure, they can still prove useful if implemented in a proper manner, allowing the applicants to have an integrated approach in deinstitutionalisation: stopping admissions in the system, closing down institutions, reuniting children with their families, providing family- and community-based care for children where family reintegration is not possible and supporting young care-leavers toward their transition to independent living. In 2018, the government prepared an updated Operational Plan to support the implementation of National Strategy for the Promotion and Protection of Children’s Rights 2014-2020. In Romania, poverty is the main driver for separation of children from their families. It is combined with other structural causes such as the lack of material support, the lack of accommodation, the lack of parenting skills, domestic violence, abuse or neglect1. The general public perception of institutions for children is now predominantly negative thanks to awareness raising efforts and projects implemented in recent years. Institutions are now seen as places that are not beneficial for children due to their harmful effects in the long run. According to the Minimum Standards of Costs, institutional care stands as the most expensive care for children without parental care at annual cost of €8,757 for children with special needs and €6,464 for typical children; this is opposed to foster care at the annual cost of €3,606 and €2,701 accordingly. In 2018, there were still 185 institutions in Romania housing 6,632 children. 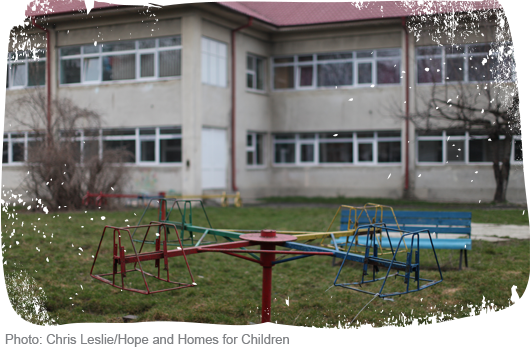 2,997 children with disabilities live in 81 institutions for children with disabilities in Romania. The majority of children in out-of-home care were placed in family-based care in 2018, including 18,317 children in foster care and 18,437 children in kinship care. In the counties where DI projects are being implemented, there is a healthy increase of foster care providers; foster care is seen as a viable option for children without parental care and is preferred by local authorities. However, the number of foster carers must be further increased and kinship care placements must be adequately supported due to closure of many institutions and low capacity of the Child Protection Directorates to provide services for children coming from institutions. While prevention and family support services exist, access to them remains very limited. There is uneven distribution of services throughout the country, with most of them being concentrated in or around cities or richer areas of the counties. Only 24% of community-based services are located in rural areas where there is the greatest need, and only 6% of the total funding is allocated to services in rural communities2. At the end of 2018, there were 58,529 children benefitting from state and private prevention services3. The National Strategy for the Promotion and Protection of Children’s Rights considers prevention of children’s separation from their families as one of the priorities. Small family-type group homes (SGHs) have seen a considerable increase in the last 10 years being perceived as a feasible alternative to institutional care for children. In 2018, there were 696 SGHs accommodating 7,290 children without parental care. There is a set of Minimal Standards that every SGH must comply with in order to be certified as a social service. At the same time, there is a notion that SGHs must be adapted to individualised needs of every child and provide children and young adults with skills necessary for their transition into independent living without development in the communities in a haphazard manner. There are scarce services for young people leaving public care in Romania. Services developed by the Child Protection Directorates focus on support, counselling and assistance provided by multidisciplinary teams. Transit centres – another type of residential services – provide accommodation and counselling for care-leavers for a limited period of time. Services provided by private entities and bodies focus mostly on job counselling and support to access the labour market. The European Regional Development Fund (ERDF) call to proceed with the closure of old-type institutions and opening family and community-based services. Targeting 50 specific old-type institutions at first, the call was subsequently extended to 147 institutions for closure through the use of ERDF. The first stage of the call was finished in March 2018; a further call was expected at the end of 2018. The European Social Fund (ESF) call to reduce the number of children in institutional care by strengthening the network of foster carers. The call was launched in September 2018. An ESF-funded call to provide community-based services for children and young adults. This call included two components: to prevent separation of children by providing support to families at risk of separation and a component to support young care-leavers. The call was launched in September 2018.Despite the delayed launch of the ESF-funded calls, they can still prove useful if implemented in a proper manner since they come as a compliment to the ERDF-funded investment aimed at closure of institutions in Romania. During the last year and a half, there was practically no initiative of the Government/state to involve civil society representatives in any consultation or decision-making process regarding DI. HHC proposes to utilize the knowledge of NGOs and help local authorities who should convey DI projects in the regions. The lack of know-how and expertise of local authorities in writing and implementing EU-funded projects can be turned into an opportunity for NGOs who already know how to do this and have experience in this field.